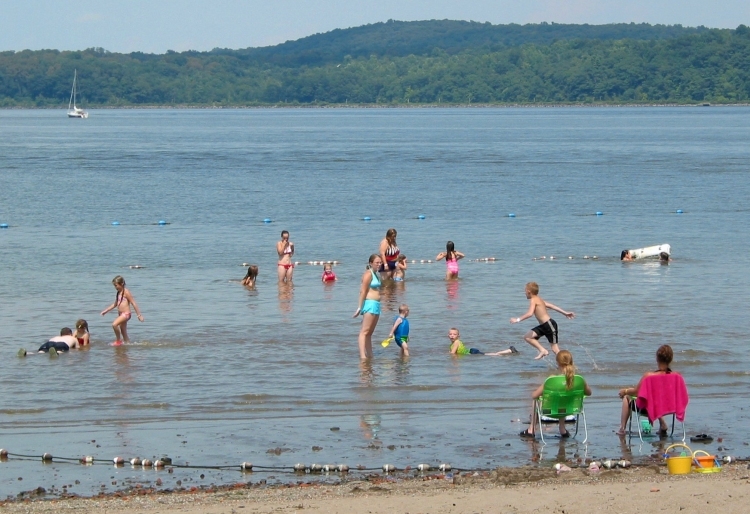 Dreaming of swimming in the Hudson River? Don’t look now, but the Hudson River is on the mend. Marine biologists have reported resurgent oyster populations on the piers of western Manhattan, and humpback whales are returning to New York Bay in droves. No longer is the Hudson a mere receptacle for industrial waste and double-crossed mafiosi. Unfortunately for the residents of Hudson County, one of the final obstacles preventing the river from being fully safe for swimming and fishing lies directly beneath their feet. Along with several waterfront communities in Bergen and Passaic counties, every city in Hudson County has a combined sewage and storm-water system that overflows during heavy rain events, pouring raw sewage into the Hudson River. At the Hoboken Cove Community Boathouse, for example, half of the 18 water samples taken since May 2014 show bacteria levels deemed unsafe for swimming, most coming after rainfall in the four prior days, according to data from clean water watchdog Riverkeeper. Such combined sewer overflows or CSOs are not just unsafe—they are illegal under the Clean Water Act of 1972. Rather than waiting for the EPA or federal courts to order a corrective plan, the New Jersey Department of Environmental Protection has issued new permits that require the entities responsible for New Jersey’s 217 combined sewer outfalls to develop long-term plans to reduce the frequency of polluting events. Jon Miller, the President of the Hoboken Cove Community Boathouse, is optimistic that the new sewer permits could mean an end to his organization’s monitoring of water quality in the Hudson River someday soon. However, Fredric Pocci said he doubts New Jersey’s efforts to combat CSOs will be enough to make the Hudson River consistently swimmable on their own. Before coming to the NHSA, Pocci was the chief sewer engineer for New York City, which has 650 combined sewer outfalls in Manhattan alone.